I’m very excited about this recipe! 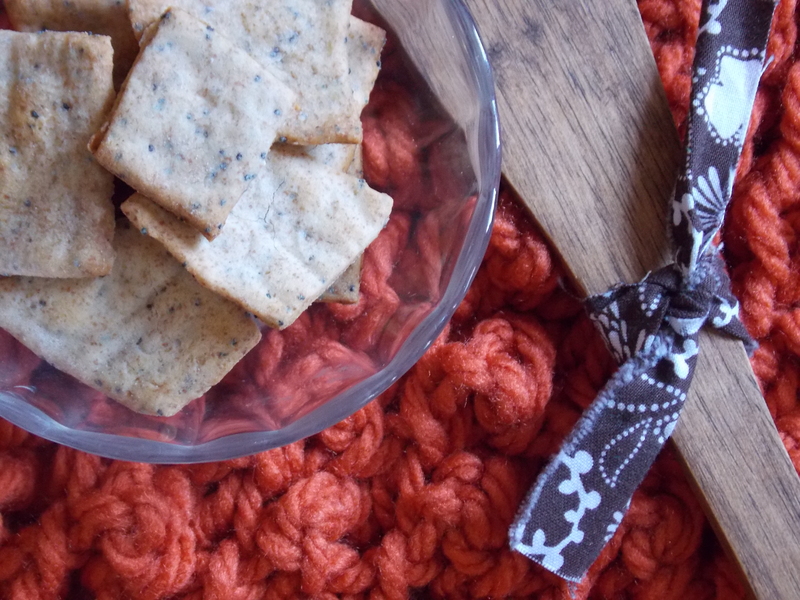 My gang loves their crackers, so you know I jumped on it when I found a recipe for homemade wheat crackers in the latest Penzeys Spice catalog. 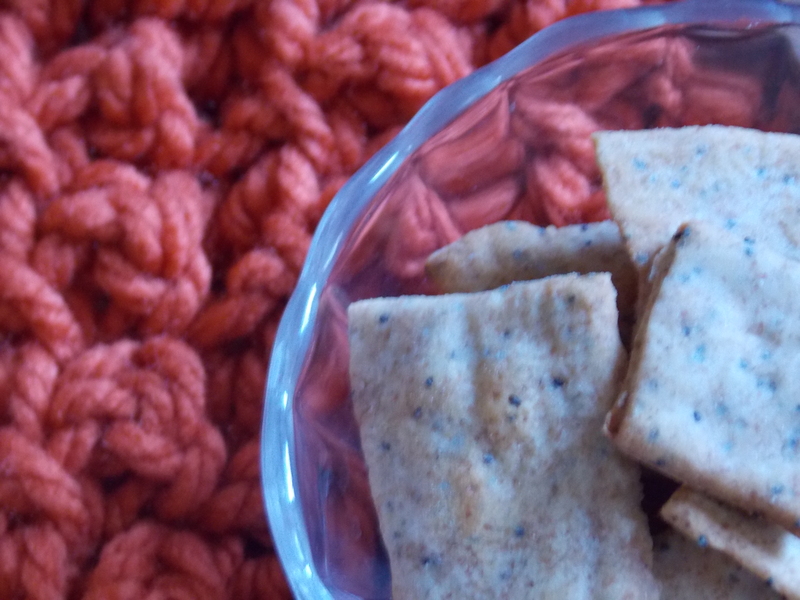 I’ve only tried making crackers one other time, a Cheez-it replica that turned out to be sort of a fail. (To make your day, I can tell you that I have my share of “fails”–I just usually don’t publish them!) They were okay, but way too salty and either too well done or not done enough. In other words, I didn’t roll them out to the same exact thickness, which apparently is crucial in making crackers. So, to help redeem myself, I gave this recipe a try. Surprisingly, they turned out pretty good! This recipe makes a decent-sized batch, so for me it was worth the effort. 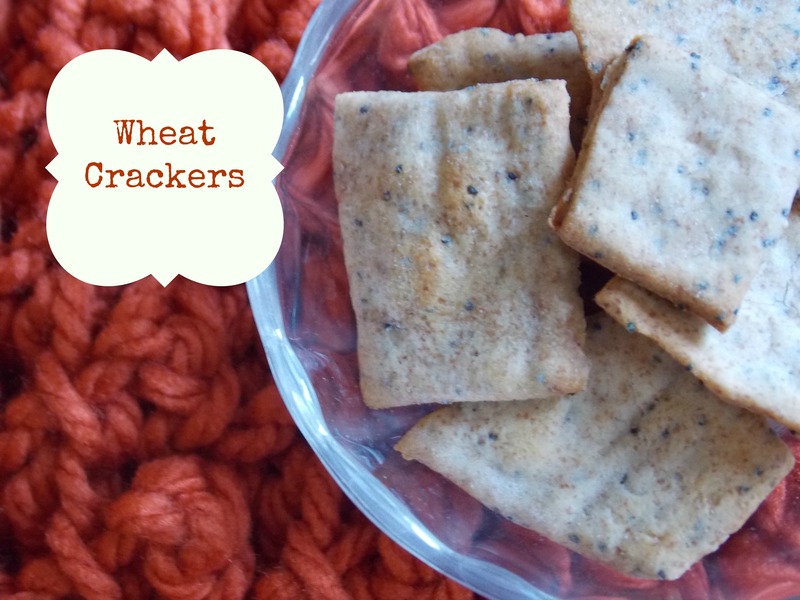 As a bonus, you know exactly what’s in them and can serve them up for snack or pack in lunchboxes for your kiddos. They are the bomb when paired up with some good cheese. In large mixing bowl, combine the flours, seeds, salt, and baking powder. Add the oil and water and stir to combine. Knead a few times until well mixed. Pull into 8 sections, cover with a tea towel, and allow to rest for 15-20 minutes. Preheat oven to 450. Sprinkle counter or table with flour and roll out 1 section so it is very thin. Cut into squares and place on a parchment-lined baking sheet. Bake at 450 for 8-12 minutes. Do this for each section of dough. Store in an airtight container. *Note-If you own a pasta maker, you could also use it for rolling out the dough into thin sheets. I know nothing about pasta makers, but Penzey’s recommends running it through until it is on setting 4. We ate these at home group and they were so fantastic! I can’t wait to make them! Thank you for sharing the recipe!